World Cruising Club What is a Rally? Home > Carib1500 > What is a Rally? Our definition of a rally is safe and social cruising. We offer an element of fun competition, but it isn't a race! 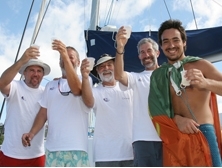 Rallies are about crossing oceans with friends; feeling confident and prepared on departure day; having support and friendship at sea; and providing a welcome to salute your achievement on arrival. In some of our rallies we collect data about your boat and sails that allows us to give your boat a 'handicap'. 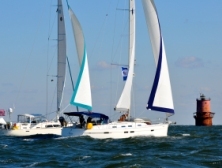 This is a time correction factor that allows us to compare the passage times of different types and sizes of cruising boat, providing some fun competition. 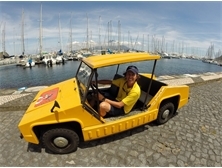 We still allow you to use your engine for propulsion as well as charging the batteries, so this isn't a race! At the end we compare the elapsed times, adjust for the handicap and motoring hours and then we can provide results. There is no obligation to join the fun competition. If you prefer to simply cruise at your own pace with no results calculated, the you can sail in the Open Division in any rally. 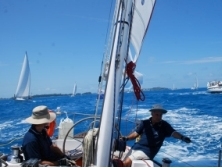 The ARC has a specific Racing Division that is different from the usual competition. Boat sailing in the Racing Division are usually seasoned racing boats, with racing crews. These boats must have a current IRC handicap certificate, and they are not allowed to use their engine for propulsion. The majority of ARC boats sailing in the Cruising Division using World Cruising Club handicaps for fun competition only. We know that undertaking a long voyage can be a daunting prospect, even for seasoned sailors. 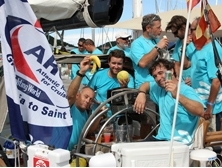 The whole rally pre-departure schedule is designed to help crews to relax and to prepare their boats with confidence. Talking to other ralliers is a great way to share knowledge and concerns, and to make friends who will become cruising companions. Parties are the best way to meet people! When you join a rally, we provide you with a comprehensive Rally Handbook that is full of advice on how to prepare your boat and crew. We've been running rallies since 1986, so we have lots of practical knowledge to help you make the most of your experience of a lifetime. Before you even join a rally you can learn with us. We run a range of in-depth seminars and quick panel discussions in the UK, USA and Europe. These are a great way to start planning your time away. Making an ocean passage in a small sailboat is a great achievement, one that deserves celebrating! We'll meet you when you arrive, help you dock, and even provide a welcome drink. 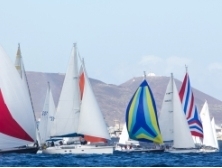 We'll hold an awards ceremony with prizes for good seamanship, great sailing, and joining in the spirit of the rally. We'll award fun things, like the prettiest boat, the best boat blog or photograph and the most fish caught. Every boat will receive a memento of their rally. We take your safety very seriously. 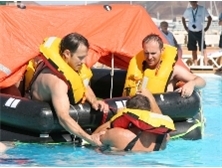 We hold information about your boat and crew that can be passed to coastguard authorities in an emergency (float plan), and we require all rally boats to carry a minimum level of safety equipment. Before the start we will check that this equipment is onboard and ready to be used in an emergency, such as man overboard, fire or sinking. Statistically you are very safe taking part in a rally! 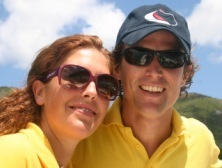 We have run successful ocean cruising rallies since 1986, and can provide advice on all aspects of preparing boat and crew for offshore sailing.